The other day I wrote a post called You Might Like My Book Recommendations If... that was all about reader personality and book recommendations. In that post, I told you which five main things I personally look for in a book how my recommendations are going to skew in that direction. 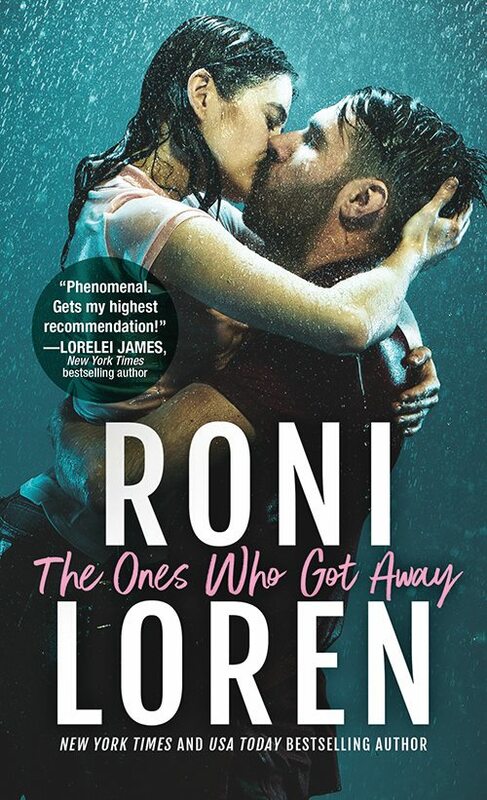 Well, this recommendation actually falls a little bit outside of that sweet spot because The Last Time I Lied only hits 3 of my usual 5 things I'm looking for, BUT it did the other three so well that I ended up not minding that this was a plot-driven book instead of character-driven. So why did I pick up this book in the first place when I know that thriller/suspense novels are usually not as much in my wheelhouse as a reader? Well, first, it was a Book of the Month club pick and they usually don't let me down with choosing books. (By the way, if you're looking to expand you're reading horizons, I highly recommend joining BOTM. The cost of the hardback is cheaper than you can get it on Amazon, and you can skip months and not get charged if none of the five picks appeals to you. Plus, they offer a good variety each month. Note: the link is an affiliate link but I pay for my subscription and have not been asked to promote it.) 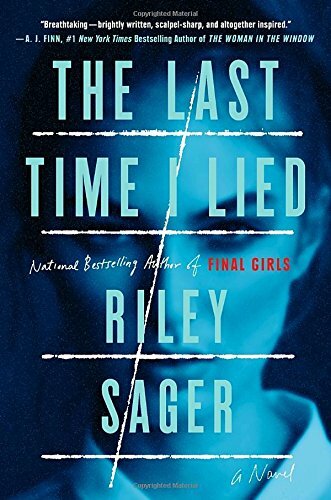 But secondly, I picked up this book because I'm a sucker for horror movies and though this book is not horror, Riley Sager's thing is to turn horror movie type premises into thriller/suspense novels. So when I saw this summary (below) and realized it was the classic scary summer camp set up, I was totally in. Cool premise, right? And I have to say that the setting descriptions were so fantastic that I felt like I was in the forest or on the lake or huddling in a cabin late at night. The descriptions made it an immersive reading experience. This story is also a dual timeline (a technique I love, as those of you who've read my books know) and it follows the story of what happened fifteen years ago and what's happening now when Emma returns as a counselor. The shifting timelines really help build the mystery and plant so many red herrings and possible suspects that I ended up suspecting like five different people and still didn't figure it out lol. So if you love a book filled with clues and misdirection, this will hit those buttons. As I mentioned above, the main character (the only POV we get) wasn't as layered as I usually prefer, but she was sympathetic and I didn't mind spending time in her head. I also had trouble keeping track of some of the other characters at the camp and had to check back for names a few times, but really that was my only issue. I love, love, love when a book tricks me and when I don't figure out the ending early. 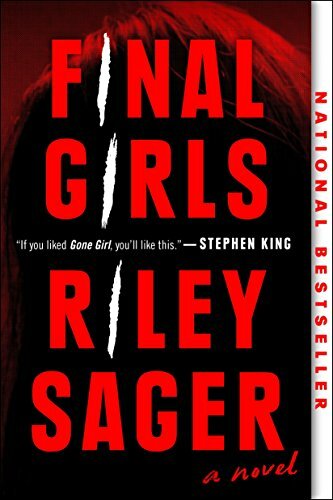 So this immediately made me want to pick up Sager's other book (which I already own) Final Girls. So though this is a little outside my normal recommendations, I think those of you who like a great creepy thriller with a good mystery should pick this one up.